Alberta’s auto industry ranks third in the province in terms of economic and social impacts, behind only the petroleum and cattle industries, a new survey says. Commissioned by the Alberta Motor Dealers Association “to get a better understanding of the industry, and to share that” with the new provincial NDP government and municipalities, it clarifies the segment’s importance to the provincial economy. 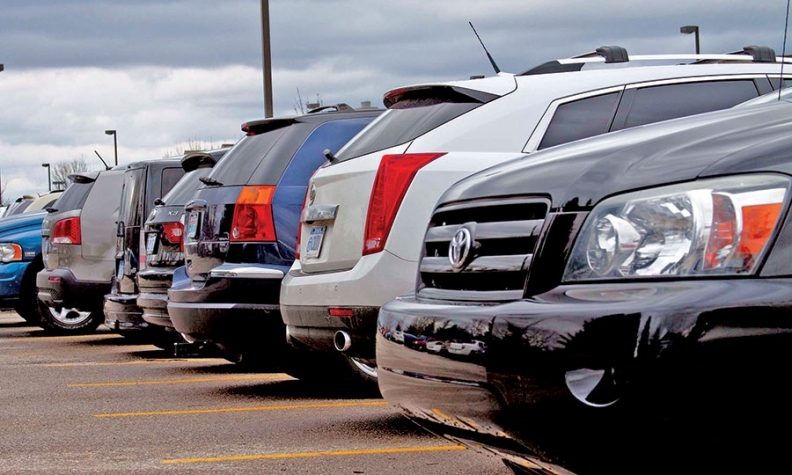 Conducted by consulting firm MNP in Edmonton, the survey was sent to the provincial government’s executive council and all MLAs “so they would know how big that dealership is [in any given community],” said MDA President Denis Ducharme. “Even if it’s a small outlet in a small town, it has a significant impact.” Ducharme was “surprised at the size of our industry,” he said in an interview. The survey shows the Alberta car dealership industry has an annual economic output of roughly $4 billion. It’s roughly two-thirds the output of the provincial cattle industry, about $6 billion. Even combined, however, cars and cattle pale in comparison to the oil and gas industry’s contribution to Alberta’s economy: $33 billion in 2013, ahead of the price crash. On the employment front, the 36,117 jobs supported by dealerships rank about 50 per cent that of the cattle industry (62,612 in 2008). In 2015, Alberta’s franchised new-car dealers sold 242,356 new vehicles while the national total hit 1.89 million units. Retail sales totalled $16.9 billion; that’s 24 per cent of all retail sales in Alberta. About 59 per cent, or $9.9 billion, was from new-vehicle sales. The national total of $104.6 billion represented 20.3 per cent of national retail sales. In 2014, Alberta auto dealers conducted 9.5 million retail transactions, selling 408,820 new and used vehicles and leased 31,986 more. Parts invoices were just above $4 million and service repairs were $5.4 million. Since taking a $2.5 billion hit in 2009, dealer operating revenues in Canada have grown steadily, reaching $18.8 billion in 2014. The cost of doing business is huge: more than $4.27 billion in 2014. Of that, $3.9 billion was spent on dealer operations while capital spending hit $328 million. Average weekly earnings of dealership employees in 2014 were nearly double the average retail earnings. More than 36,000 employees shared a total of $1.37 billion in salaries and benefits. Municipal governments received more than $26 million in taxes and fees in 2014, and an unstated greater amount when dealership suppliers are included. The industry has an extensive “value chain” said the survey authors. Alberta truck and car dealerships in 2014 contributed $2.98 billion to the gross domestic product, paid $367 million in federal tax, $225 million to the province and $62 million to municipalities. Capital spending adds $151 million to the country’s GDP, another 1,347 jobs and tax contributions of $19 million to Ottawa, $12 million to the province and $3 million to municipalities. Dealers have always been strong community and charity supporters, giving millions back to their communities. MDA members sponsor and collaborate with a variety of local charities, non-profits, sports groups and service clubs through fund-raising, cash donations and merchandise prizes. Calgary and Edmonton dealer associations stage annual auto and truck shows to support local charities. It adds up to more than $8.4 million in 2014 says the study, and millions more over the years.